In gymnastics, flexibility is one of the most important quality every gymnast should possess. Without the proper amount of flexibility, a gymnast will not be able to perform advanced gymnastics skills which usually require a large range of motion in order to be executed properly. Incorporating some good stretching exercises in their daily workout helps them to avoid injuries often caused by the lack of flexibility. Also, stretching helps young gymnasts to avoid experiencing muscle tears and pulls. Doing stretching exercises also helps the child to loosen their tight muscles, enabling them to reach their full range of motion. In addition, being flexible improves their performance, thus enabling them to perform better in other physical activities. Aside from that, letting them stretch after every workout helps avoid stiffness and can improve the recovery of their muscles. 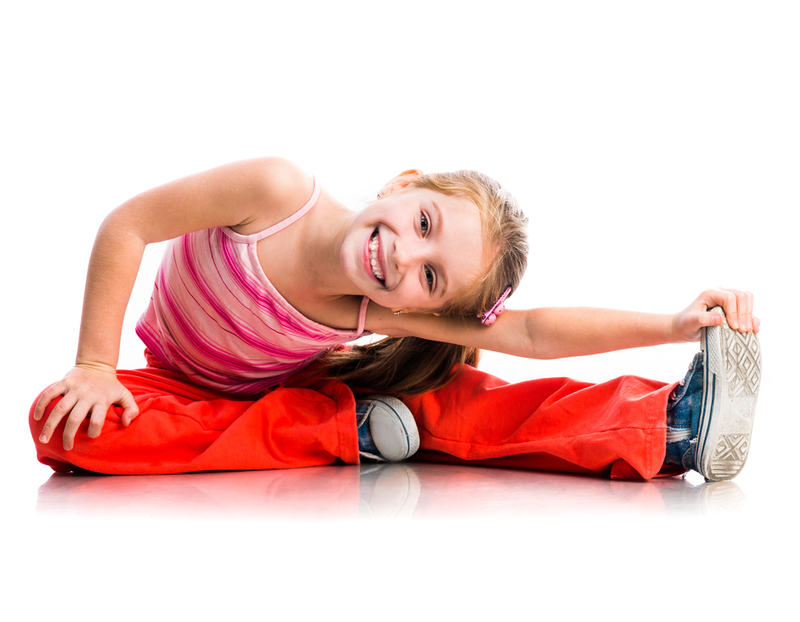 Encouraging your child to do some basic stretching – both dynamic and static, will help them to keep their bodies flexible. It is very important that you teach them the proper way of stretching and guide them while they do it as improper technique may cause them injury. Also, you should teach them to do some warm-up exercises such as walking or jumping jacks before doing any kind of stretching. Performing a stretching exercise while your muscles are cold can lead to injuries—a thing you don’t want your child to experience.